On 4th April, campaigners handed in a petition signed by over 96,000 people, and an open letter signed by 89 organisations to the secretary of state for Business, Energy and Industrial Strategy, Greg Clark, urging him to refuse permission for the UK’s largest gas-fired power station yet. As the UK’s largest power station and largest single emitter of CO2, Drax Power Station is no stranger to controversy and attention from activists. 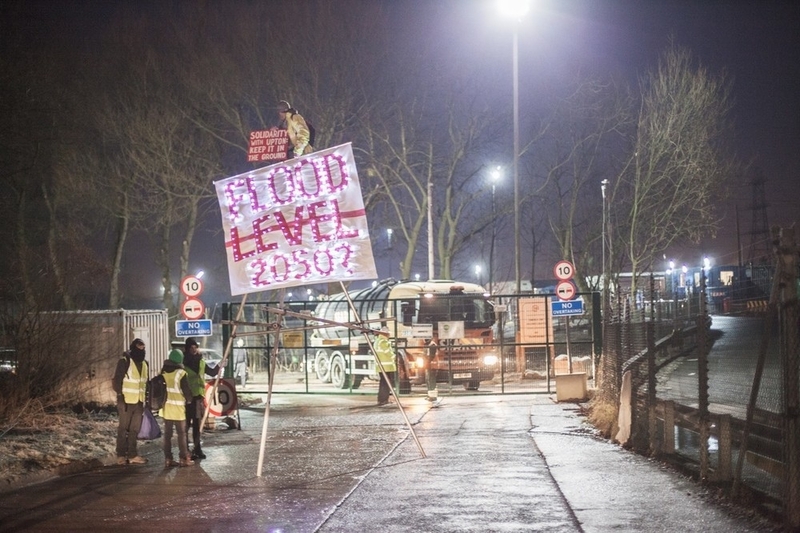 In 2006, its role as the country’s largest burner of coal made it the focal point of the UK’s first ever Climate Camp; it has since drawn widespread criticism for the conversion of most of its capacity to run on biomass instead of coal; and currently, it is fighting the tide of public opinion to replace its remaining coal-burning units with a 3.6GW gas-fired power station. This is a desperate measure in the face of the planned phaseout of coal in power stations by 2025 (although a hard Brexit would put this plan into disarray), and in the face of recent revelations that the UK is on track to phase out coal without any new gas. While a move away from coal is long overdue, Drax’s proposal is simply to replace one fossil fuel with another, while continuing to burn imported wood pellets made from 14 million tonnes of trees every year. While Drax has massively scaled back its coal burning, it still burned around 2 million tonnes in 2018 – the majority from the USA and Russia. In the USA, mountaintop removal mining is producing millions of tonnes of toxic waste, polluting waterways and reducing life expectancy in affected communities. In Siberia, indigenous Shor communities are facing devastating health and social impacts from coal mining. The majority of energy produced at Drax Power Station is now from biomass, in the form of imported compressed wood pellets (every year since 2015, Drax has imported pellets made from more wood than the UK can produce annually). Drax claims that its biomass is “carbon neutral” (save for carbon emissions from fossil fuels burned in the process), and thus better for the climate than coal, because the carbon emitted is absorbed by new tree growth. However, any new trees will take decades to grow and absorb an equivalent amount of CO2 – and we need to reduce the amount of carbon in the atmosphere now. The only proven way to do this is to increase the amount of standing forests – not cut them down, burn them and replace them with monoculture plantations. Trees being taken to a pellet plant. Photo by Dogwood Alliance. 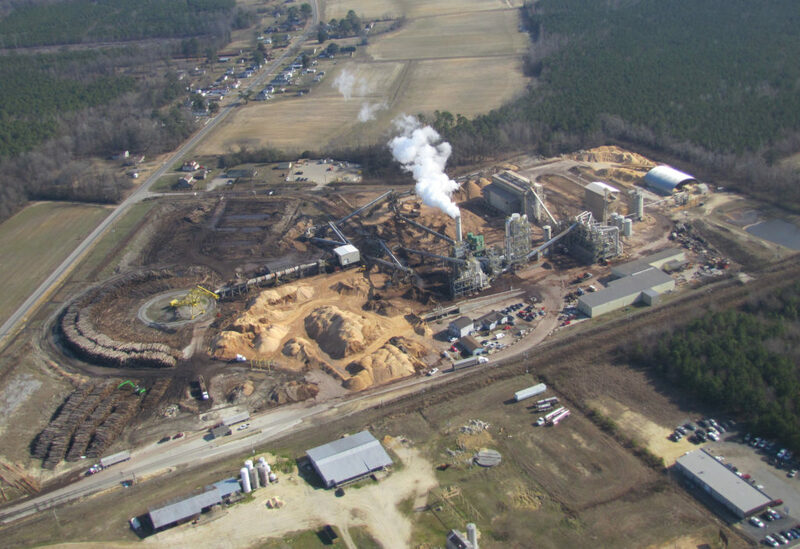 Enviva’s Ahoskie pellet plant, North Carolina. Photo by the Southern Environmental Law Centre. Right now, communities in Mississippi are trying to stop Drax’s major supplier, Enviva, building the world’s largest pellet mill on their doorstep. The pellet industry has a track record of contributing to environmental injustice, by siting its facilities in areas already affected by other polluting industries and inequality. 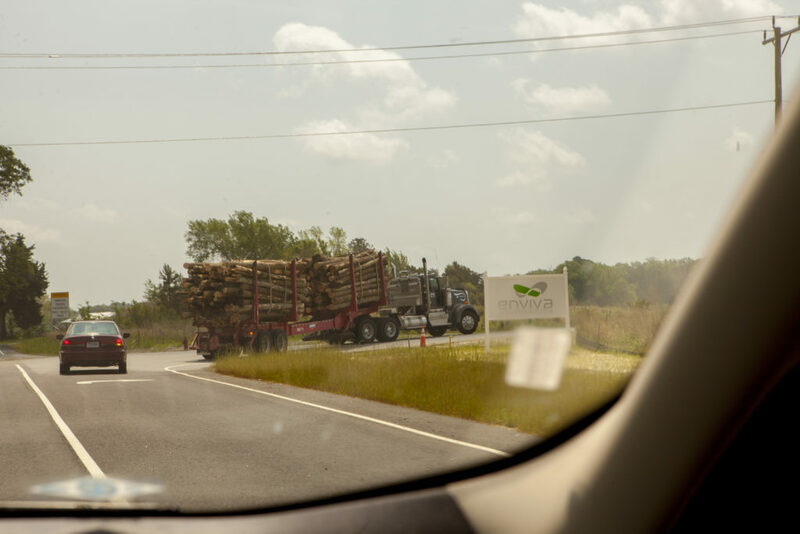 Residents then have to deal with the impacts of wood dust, noise and heavy traffic as well as seeing their their local forests turned into pellets and shipped overseas to be burned. 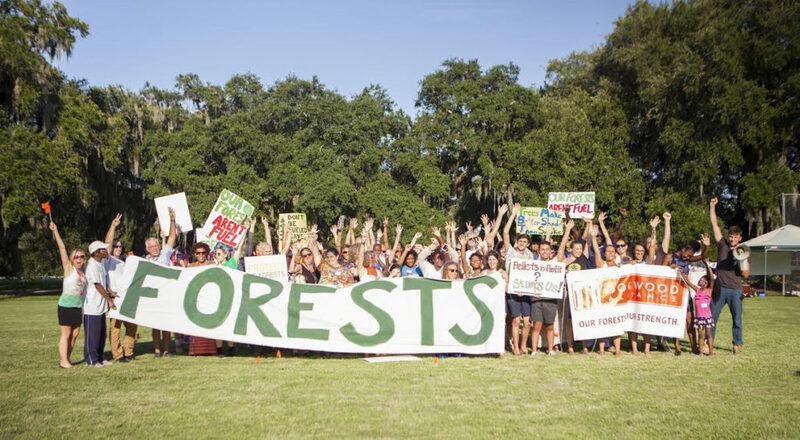 Our forests aren’t fuel. Photo by Dogwood Alliance. 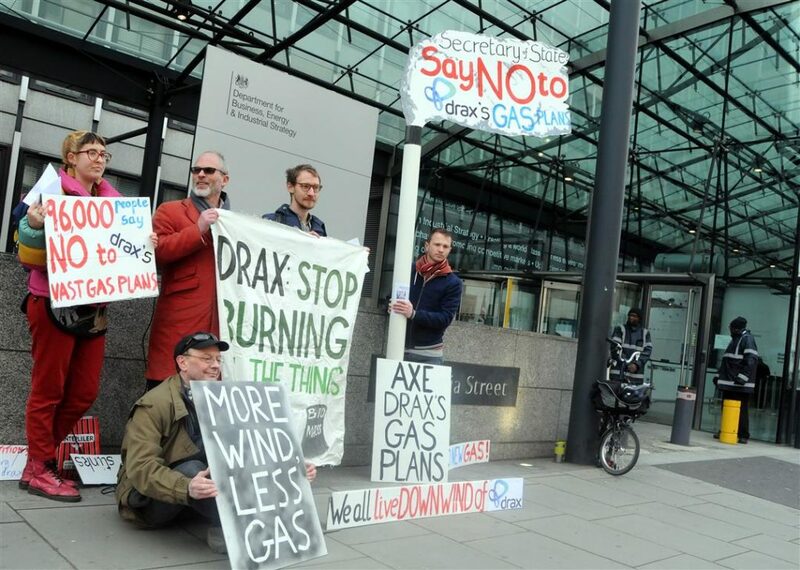 Despite heavy criticism from activists, NGOs and the scientific community for its use of biomass and coal, Drax is persevering with this high-carbon trajectory and in early 2018 announced an intention to start burning gas as a replacement to coal. Drax is seeking subsidies (called Capacity Market Payments) for these new units, on top of the £2.16 million a day it already receives in subsidies for burning wood – money that comes from a surcharge on our energy bills and would be better spent on subsidising genuinely low-carbon renewable energy. Drax itself has admitted that the new gas units will “represent a significant net increase in greenhouse gas emissions and have therefore negative climate impacts.” This comes at a time when the science is crystal clear that we need to be reducing, not increasing, our carbon emissions. While Drax and the fossil fuel industry like to frame gas as a “bridging fuel”, a plan that relies on burning fossil fuels into the 2040s has no place in a safer climate future. An increase in our reliance on gas is also likely to increase the demand for fracking in the UK, a highly polluting, dangerous and unpopular process that has been plagued by difficulties including activist interventions, malfunctioning equipment and earthquakes. Drax is a powerful representation of the dirty, extractive, centralised energy system we need to move away from, and a reminder that we can do this. At the first climate camp in 2006, the idea that our power supply could move away from coal felt remote; thanks to the tireless efforts of grassroots campaigners around the world, this is now more within our reach than ever before. However, we need to make sure that instead of being replaced by other dirty destructive forms of energy, coal is replaced by a reduction in our energy demand, and an energy system and culture that consider the needs of communities and ecosystems around the world, as well as minimising greenhouse gas emissions. Take action against new gas infrastructure and the Hostile Environment for migrants this summer with Reclaim the Power. In the meantime, Biofuelwatch and allies will be organising a protest outside Drax’s Annual General Meeting on 17th April in London. Contact biofuelwatch@gmail.com for more info or look at the Facebook event. 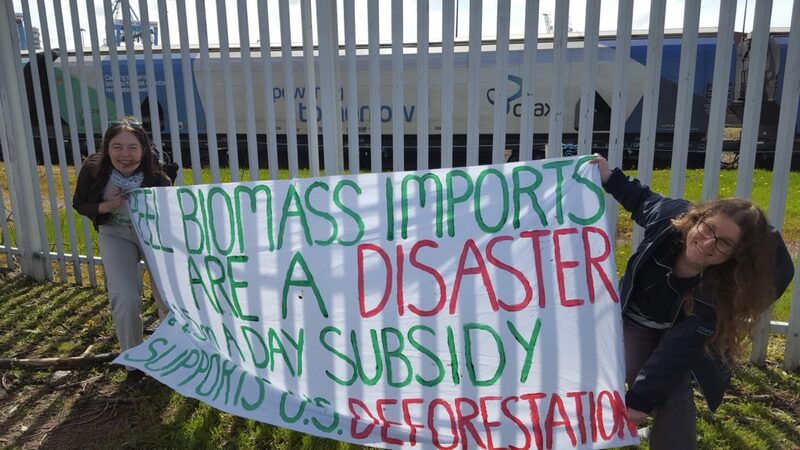 See Biofuelwatch’s website for more info about what’s wrong with biomass and the long-term campaign against Drax.